*Efforts to buy the Los Angeles Clippers continue to progress. Three people familiar with the situation tell the LA Times that at least four buyers have made preliminary offers to obtain the NBA team for up to $2 billion. A person who represents one of the bidders mentioned to the publication that offers came from three groups with ties to the sports world and one lesser-known organization that includes financiers from the Middle East. News of the offers come amid efforts by Clippers co-owner Shelly Sterling to sell the Clippers before she and her husband, Donald Sterling, are stripped of ownership by the NBA. Bobby Kaple noted on Tuesday how Donald Sterling mentioned that the NBA had no legal grounds to end his ownership of the Clippers. Despite the offers, there are a few things that could prevent the sale of the team. Among those complications are acceptance by Sterling, approval by other NBA owners a clear agreement from Donald Sterling that he will sign off on the transfer of the team. 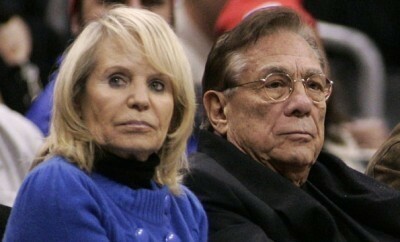 Last week, Sterling agreed to put his wife in charge of selling the Clippers. That development comes roughly one month after he made racially-charged comments about African-Americans led to his ouster from the NBA. Nevertheless, Sterling communicated through his lawyer, Maxwell Blecher, on Tuesday and Wednesday that he might not be ready to give up the team. Bottom line: Sterling wants to be assured he will not face administrative charges by the NBA. In addition, Belcher stated that his client might want some other concession before signing off on a deal. “He wants something to suggest that ‘I , Donald Sterling, don’t die with this stigma from this controversy over my head,’ “ Blecher said while admitting he wasn’t sure exactly what would be needed to satisfy the controversial team owner. The Times mentioned that bidders were told by Shelly Sterling’s advisors that they expect to announce a winner expeditiously, despite the fact that they didn’t give a specific time for their decision. Nevertheless, any sale made by the Sterlings will have to be signed off by the NBA’s other 29 owners, according to the publication, which added that three-quarters of the owners must approve the deal. For more details on the preliminary offers made to by the LA Clippers from the Sterlings, including the lowdown on the bidders, click here.